Our 16 foot Moving Truck and our Cargo Van are available for new tenants at both Egg Harbor Township and Ocean City locations. 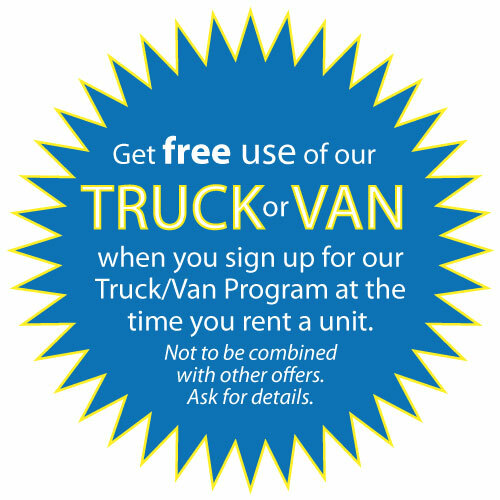 New tenants get free use of our moving truck or cargo van while making their initial move. Our vehicles are also available for rent by TENANTS & NON-TENANTS for tasks like moving friends or family or picking up appliances or building materials. Prices start at $19.95 and can be reserved for just a few hours or all day. Please give us a call to make a reservation and check availability.